Friday Recap 3/16: All Things People’s Fair | All Things People's Fair! We are still looking for youth organizations who want to participate in this years mural project! The team’s murals will be displayed during the People’s Fair! If you know of a youth organization that would like to participate in our mural project, please find the information on our website or contact Cody Galloway. 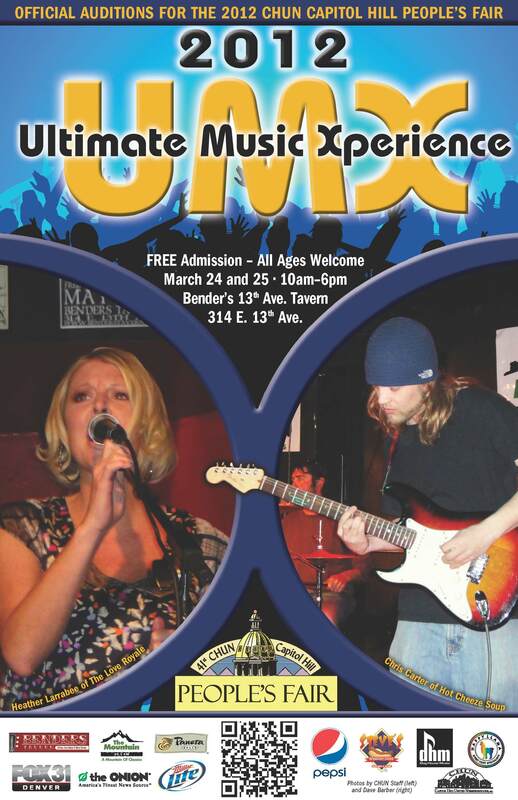 Have you been keeping an eye out for our UMX posters?! If you haven’t, be sure to do so! It may come in handy in the next week! The Denver Ultra Dash and shopping at Whole Foods are two great ways to support the greening efforts of your favorite outdoor festivals! The Denver Ultra Dash is a scavenger hunt benefiting Green Up Denver on April 22nd! And you can shop 1 of 5 metro Whole Foods locations on April 4th. 5% of net sales will go to Green Up Denver! Whole Foods locations participating are: Cherry Creek, Capitol Hill, Tamarac, Washington Park and Colorado Blvd. We have had blog spotlights on a couple artists playing at UMX! Caleb Slade and Emma Henry. These artists have great stories and we can’t wait to meet them at UMX next weekend! Stay tuned for more artists in our blog spotlight next week! Just a reminder: Arts & Crafts and Sundry applications will be due on Friday, March 23rd. Please get those in if you or someone you know has handmade crafts they would like to have at the People’s Fair, or if they would like a sundry booth! Find out more information at CHUN. Follow us on Twitter, Like us on Facebook and Subscribe to our Blog for up-to-date information on All Things People’s Fair! Stay tuned and stay involved….